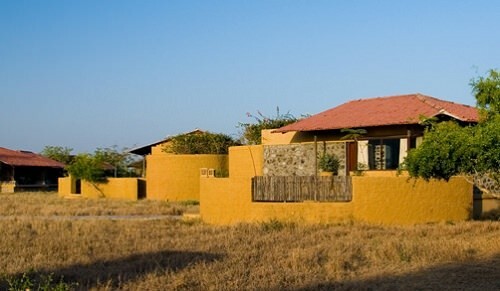 The resort is located near the west coast of Gujarati, Gulf of Cambay and covers 70 acres of wild Saurashtra countryside. It is a fantastic place as the Lodge is secluded on the banks of the river and is a part of Velavadar National Park. 14 luxury cottages are waiting for you to astonish, and to conquer your heart with the beauty of the surroundings. Come and feel yourself as a part of the great world of nature! Be sure, this place will help you to relieve your feelings, and to find answers to all your questions.